You have a better chance of maximizing benefits with Tarot cards than listening to some experts on the issue of setting a claiming date. Deciding when to retire should not be a complicated matter. Unfortunately the Internet is making it so by amplifying bad advice to seniors suggesting that waiting to collect benefits is not only sensible but well worth the wait. It is, of course, all nonsense. You cannot materially increase your expected Social Security benefits by changing your claiming date. This middle school math seems to befuddle PhDs, recognized financial gurus, and media outlets like the Wall Street Journal. They in turn have confused seniors with terrible advice that has been magnified by the Internet into urban legend. Everyone understands that seniors want to get what’s yours, but waiting until 70 is not the way to do it. You have a better chance of maximizing your benefits with Tarot cards than listening to experts on the issue of setting your claiming date. The Social Security Administration provides facts. It says that there is no expected increase in return by changing your claiming date. You can think of this comparison like the race between the tortoise (lower checks) and the hare (higher checks), where the Social Security Administration gives the tortoise a large enough head start that you expect a tight race at the finish. While checks claimed at age 62 are smaller, you get more of them over your life. 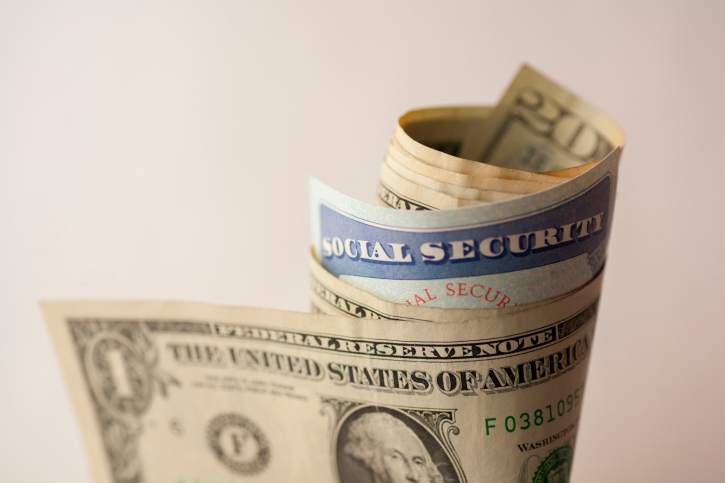 Including interest on the early checks, the amount that you collect at age 62 from Social Security over a normal life is about the same as you get by waiting to age 70. You are probably wondering why you hear wildly different answers to the same question. The answer is simple. It is part ideology and part poor financial advice. Many writers ignore the interest that early-money would earn. Almost all ignore the risk of a reduction of future benefits, which is projected to occur within the lifetime of current retirees. In a short article, I can’t replace your personal financial advisor. I can tell you that if your financial advisor says that he didn’t factor in time value of money, or he says that the risk of Social Security insolvency is overblown, it is time to replace your financial advisor. In deferring your claiming date, you are essentially buying additional old-age insurance from Social Security, trading current checks for future certainty. Insurance isn’t about making money. It is about losing less money on an unexpected event. In the case of old age insurance, you will get a lot of money if you live to 100. Unfortunately that event will give you a lot of cost, as well. This isn’t something that you buy in order to make money. Buying old-age insurance from Social Security is not crazy. It is similar to buying additional fire or health insurance. In fact, Michael Kitces points out that Social Security may offer a better price on old-age insurance than private options. In deferring your claim date, you are paying for personal peace of mind. It would be difficult for Tarot cards to be more wrong. Old-age insurance isn’t risk free. For example, if I die before I claim benefits, my return isn’t 8 percent. The actual return very well may be a 100 percent loss. Diversification serves no one more than the elderly who have few options to return to work. The person who isn’t working that waits until age 70 to claim benefits will burn up outside savings in the process. This means that in old age the retiree will be more dependent upon Social Security. Social Security is not guaranteed. In fact the Trustees issue an annual warning telling people that benefits are subject to automatic reductions. The Trustees warn that Social Security has less than a 50/50 chance of paying full benefits through 2033. A female turning 62 today expects to live roughly until 2040.So the advice is to give up checks today for checks of uncertainty. In essence, the financial advisor contributing to the Journal article asks, “Why diversify your stream of retirement income when you can put the most eggs into a single leaky basket?” If you are asking that question, chances are that you shouldn’t be writing for a financial journal. There are good articles about retirement planning (Chuck Saletta, “Read This Before You Take Social Security”), as well as poor ones. You have to ask: What is the statistical chance of a retiree finding the right advice amid the wreckage of sanity? My guess is that Tarot cards give you equally informative information with a fraction of the effort. If you want to make money on Social Security, live a long time and drive your kids crazy doing it.